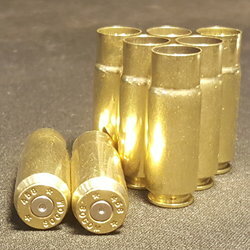 458 SOCOM | DiamondKBrass.com | 100 Ct.
Home :: RELOADING BRASS :: RIFLE BRASS :: .458 SOCOM 25 ct.
Mixed Headstamps and contains all brass finish. Casings are Tumble Polished and ready to reload out of box. Brass typically ships either same or next day with an estimated arrival time of 2-3 days. SKU .458 SOCOM 25 ct.